The histories of X11 Apostles’ Church and School are obviously inextricably linked. The major chapters in the development of the church and school reflect the major chapters in the Social History of, not just Leigh and Lancashire, but the whole country. I hope that this brief document illustrates this. Two important facts persuaded the then Bishop of Liverpool, Dr. Bernard O’Reilly, that there was a need to open two new missions in Leigh to serve the needs of the Catholic population. Firstly, the development of the Lancashire Coalfield encouraged thousands of Irish Catholics to immigrate to this area to work in the coalmines. Secondly, the 1870 Education Act compelled all children between the ages of 5 and 10 to attend school. A Fr. Kavanagh was appointed to look after both Our Lady’s and X11 Apostles’ and to establish the two new schools. 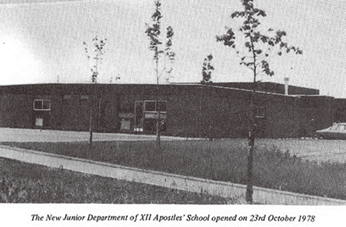 X11 Apostles School duly opened in November 1879. The building was used as a school during the week and as a church on Sundays. 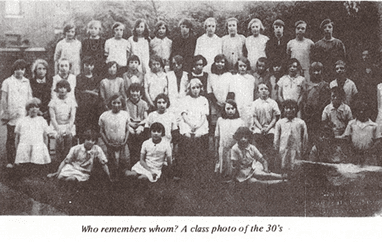 The first head teacher was a Miss O’Neill and she would teach up to 80 children in one class. She would be helped by a pupil teacher who would be between 14 to 18 years old. Miss O’Neill would also be responsible for training her young assistant. In 1884 or 1885 Our Lady’s and X11 Apostles became separate missions and from that time until recently developed as separate parishes and schools. During the next 20 years X11 Apostles had 4 different Parish Priests. They were, Fr. P. McCarren 1883-1884, Fr. T. Browne 1884-1885, Fr. W. O’Reilly 1885-1898 and Fr. J. Unsworth 1898-1904. In the years just before and just after the turn of the century there was great poverty, malnutrition and ill-health in Industrial Lancashire. The First World War obviously caused further problems. The school and the church played vital roles in supporting the children and their families during these grim times; this was reflected by the fact that despite all the hardships the numbers on roll at the school continued to grow. It was clear even before the turn of the century that the original building was too small and there was great overcrowding, even with the extension built in 1884. In 1902 a separate building had been built. This was used as the church. This lasted until 1927 when the new church was built. This is still the church building today. While these important local changes were taking place there were important changes taking place nationally in Education. The pupil teacher system was dispensed with and Teacher Training Colleges were established. In 1924 two newly qualified teachers trained in one of these colleges were appointed to the staff of X11 Apostles. They were a Mrs Lee and a Miss Unsworth. Miss Unsworth would later become the Head of the Infant School. Meanwhile during this period the Parish of X11 Apostles was served by a further 5 priests. They were Fr. J. Foster 1904-1907, Fr. 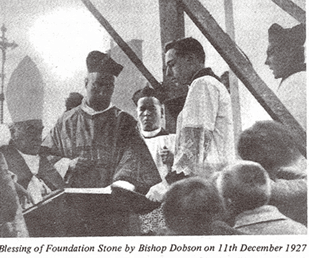 A. Dobson 1907-1923, Fr. W. Clarkson 1923-1926, Fr. E. Buck 1926-1928 and Fr. M. Joyce 1928-1931. This period of 58 years saw massive changes both locally and nationally. Fortunately for the school and the church, while these changes were taking place, there was great stability in the leadership of both the school and the church. Just 3 priests served the parish during these 58 years. They were Fr. A. Huxtable 1931-1947, Fr. T. Healey 1947-1970 and Fr. J. Anderson 1970-1989. In the Infant School Miss Roddy was the Head until 1942 and then Miss Unsworth became Head until 1968. In the Junior/Senior School Mr Griffin was Head until 1953 and then Mr Leyden was head until 1971. When Mr Leyden retired the Infant School and the Junior School were amalgamated and Miss Egan was appointed Head of the newly formed Infants and Junior School. These priests and Headteachers led the community of X11 Apostles through these tumultuous years. They saw Kings die, Kings abdicate and Kings and Queens visit Leigh. Then, of course came the 2nd World War. Many bombs were dropped on Leigh. Indeed Miss Roddy’s house was damaged in one raid and the hall used by the Juniors was destroyed by fire. In addition, many families suffered their own personal tragedies. After the war the problem of overcrowding in school became worse. Fr. 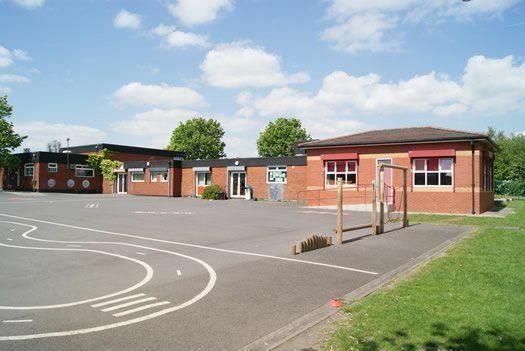 Healey purchased a plot of land on the opposite side of Nel Pan Lane with the intention of building a new school. Unfortunately at that time there wasn’t enough money to go ahead with the building. The new building was still over 30 years away. In 1953 the children celebrated the Coronation of Queen Elizabeth 11. Then during the 1930s the Senior pupils started to move to the brand new Secondary Modern School being built in Astley. In 1961 the boys’ school at St. Mary’s was opened and the girls’ school opened shortly after. So by 1962 X11 Apostles just had the Infants and Junior departments and children aged 11 went to St Mary’s if they hadn’t passed their 11 plus. Despite losing the seniors, the overcrowding and deterioration of the old school became an increasing problem. The H.M.I’s report in 1966 commented on the very poor conditions and yet also commented on the excellent morale of the children and staff. Nevertheless when Miss Egan took over the headship of the amalgamated school the plans to build a new school were stepped up. At last in 1972 permission was given to build a new school. However, it wasn’t until 1975 that work began. 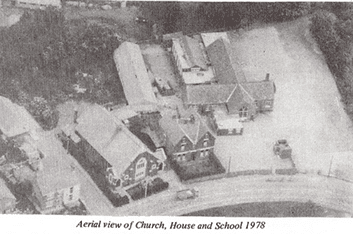 In February 1976 the infants transferred to the new building and then in October 1978 the Juniors transferred. It was very fitting, therefore, that Archbishop Warlock of Liverpool officially opened the new school in 1979 exactly 100 years after the first school was built in 1879. Miss Egan retired in 1989. By this time a new Parish Priest, Fr. A. Fitzgerald had taken ove. In August 1990 Mr M. A. Farrimond took up his appointment as Headteacher of X11 Apostles. By 1990 the social fabric of Leigh and the other industrial towns in the North West has changed beyond recognition. The traditional industries of Coal Mining, Cotton Spinning and Cable Manufacturing had almost completely disappeared. Leigh and the other towns were in decline. Unemployment and the other social deprivation indicators were high. The local population were in depression. This was reflected in school through a general lack, low self-esteem and poor aspirations in the majority of the children and their parents. It was in this context that the Government at the time decided to put education higher up their political agenda than it had ever been since the 1870 Education Act. Two massive changes were introduced almost at the same time. One was the introduction of the National Curriculum and the other was the introduction of Local Management Schemes which gave every school control over the major proportion of their budgets which had previously been controlled by the Local Authority. So schools now had more freedom and flexibility on how to spend their budgets but they also had a very prescribed curriculum. In addition to these National changes, the government, after several inner city riots in the late 80s, introduced various regeneration initiatives in these depressed areas. These affected X11 Apostles as during the 1990s the school became part of ‘The Coalfield Challenge’ then ‘The Leigh Education Action Zone’ and then ‘The Leigh Excellence Cluster.’ All these initiatives brought in extra funding to help raise standards and enrich the curriculum for the children. In 1996 the system for inspecting schools was changed and a new body entitled Ofsted was established. From now on instead of a single H.M.I. coming to spend a day inspecting the school, there would be a team of 4 Ofsted inspectors spending a week in school inspecting every aspect of the school. This new system was very intimidating and brought a lot of extra pressure onto school. In 1997 X11 Apostles had its first inspection under the new system. Further inspections followed in 2001 and in 2006. All the inspections concluded that the quality of teaching and learning was excellent and that the children were happy to come to school and the school had strong and positive relationships with the families and the local community. In 2006 the school was graded as Outstanding. Meanwhile in the Parish Fr. Fitzgerald left and Fr. D. Power took over. Then Fr. P. Devlin took over from Fr. Power. By this time it was becoming clear that a crisis was developing in that the number of priests in the Archdiocese was dropping alarmingly. Very soon there would not be enough priests for each of the parishes. The Archbishop of Liverpool, Archbishop Kelly established a period of consultation which he called ‘Leaving Safe Harbours.’ During this period all Catholics were encouraged to give their views on how they thought the shortage of priests could be best managed. 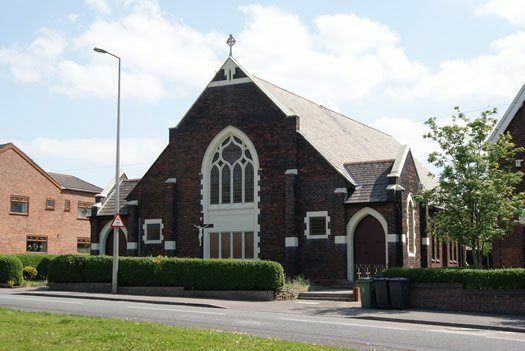 The result of this consultation was a very radical change for the churches in Leigh. Leigh was chosen as the pilot area to try to solve the problem of too few priests. Instead of a priest in every parish there was now going to be a priest in charge of several parishes. The parishes would join together to become Pastoral Areas. So in Leigh the 9 former parishes became 2 Pastoral Areas and instead of at least 9 priests there would be just 4. When Fr. Devlin left Fr. N. Ritchie took over not just X11 Apostles but Our lady of the Rosary and Sacred Heart as well. In 2005 Fr. J. Finch took over and then in 2010 Fr. J. Preston took over. Mr Farrimond retired in August 2010 after 20 years as Headteacher of X11 Apostles. Mrs S. Newton took over as the new Headteacher in September 2010. So with a new Headteacher and a new Parish Priest both the school and the church can look forward to the challenges of the future with great confidence. Thank you to Mr Farrimond for providing this history of our school.